The Office of the Auditor General (AGSA) made a presentation to the Committee on the audit outcomes of the Department of Water and Sanitation and its two entities -- the Water Research Commission and the Trans Caledon Tunnel Authority – to assist the Committee to execute its oversight functions. AGSA reported there had been a regression in overall audit outcomes over the past three years. For the 2013/14 period, the Department and its entities had received a qualified audit, with findings. There had been significant non-compliance with legislation. The most common areas of non-compliance were found to be in procurement and contract management, human resources management, revenue management, quality of financial statements submitted for auditing, and management of strategic planning and performance. The audit had revealed a decrease in irregular expenditure during the 2013/14 financial year, compared to 2012/13. It had decreased from R68.275m to R51.191m. However, there had been an increase in fruitless and wasteful expenditure, from R2.165m to R20.592m. The root causes of the situation were identified as a lack of consequences for poor performance and transgressions, instability or vacancies in key positions, key officials lacking appropriate competencies and slow response by management. In order to remedy the situation and create a control environment that supported reliable financial and performance reporting and compliance with legislation, AGSA recommended that the Department and its entities should, among other things, implement adequate systems or processes to support accurate and reliable financial and performance information reporting; hold senior officials accountable for non-compliance with laws and regulations; fill key vacant positions; increase the competence of employees by encouraging continuous learning and training; and implement adequate systems or processes to focus on overall compliance, and include consequence management where necessary. Members wanted to know how the Office of the Auditor-General was evaluating effective leadership in the Department. They also asked how action could be taken against those found to have misappropriated public funds. AGSA pointed out that the measurability of planned targets and indicators could not be assessed. No reason for the variances between planned and actual achievements could be provided and performance targets were not specific and well defined. The completeness, validity and accuracy of reported information could not be tested against supporting evidence. Further, it was reported that there had been a significant non-compliance with legislation. The most common areas of non-compliance were found to be in procurement and contract management, human resources management, revenue management, quality of financial statements submitted for auditing, and management of strategic planning and performance. For the past three years these areas had remained stagnant or had shown no little progress at all. goods and services were procured without inviting competitive bids. However, the audit recorded an increase in fruitless and wasteful expenditure, from R2.165m to R20.592m. This stemmed from deviations from scope of contracts, without the required approval; VAT being paid to non-VAT vendors; overdue accounts being paid to Eskom and municipalities; cancellation of contracts without notice; failure to notify travel administrators for cancellation of bookings; and costs of the legal services division, which had lost a case on appeal. approve and track changes to strategic plans and annual performance reports. Ms M Khawula (EFF) wanted to know what could be done to ensure the Office of the Auditor-General had powers to punish those mismanaging state funds. Ms Muller said the Office of the Auditor-General did not have powers to punish. Its duty was to audit and report. The Minister had to institute the action. The chairperson expressed interest in the details about the fruitless and wasteful expenditure of the Department. Ms Muller indicated that the financial statements of the Department had listed all the details and specifications. It was better for the Committee to speak to the Department so that it could get the information it was interested in. There was not enough information given out by the Department about performance in order to know the level of performance required. The Department was going through a process of developing a strategic plan for next year, so it was important for the Committee to acquaint itself with that in order to have a substantive input. The biggest challenge AGSA had had with the Department over the years was leadership instability. Information received was unreliable, and people who were giving out performance information were lower level staff, not the Deputy Director-General. Mr P Galo (AIC) asked how the Office of the Auditor-General was evaluating effective leadership. Ms Muller replied that AGSA looked at ethical matters, actions taken to deal with performance issues, performance reporting, the implementation of issues, and how non-compliance was dealt with. The only concern they had was when there had been an acting Director-General for a long time. 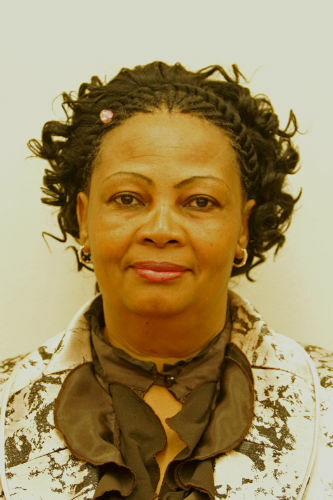 Ms Khawula enquired about who must discipline people who keep on misusing public funds, if AGSA did not have the powers. The Chairperson said people who were misusing public funds should be named and shamed. South Africa did not have a law that said Parliament must take action if individuals have been found responsible for misappropriating public funds by the Office of the Auditor-General. It was the Minister and the Director-General who had to act.